SRP Environmental provides a host of hazardous and solid waste permitting and management services to our clients. 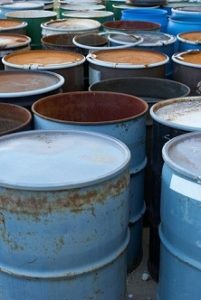 SRP ensures that clients are in compliance with the federal & state regulatory requirements regarding all aspects of hazardous and solid waste management activities. We specialize in compliance auditing, identifying and evaluating waste minimization options, and developing emergency and spill response protocols.